I may receive commissions for purchases made through some of the links in this article. Please read my Disclosure for more information. 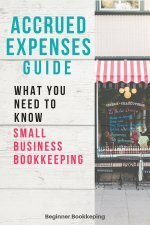 Pinpointing the best business bookkeeping software for your small business can be overwhelming with all the options out there. Some of the most popular global options right now are Xero, QuickBooks and Sage, and if you are in Australia/New Zealand you can also consider MYOB. You can see our table below comparing Xero, Quickbooks and Sage, and further down the page I discuss free software options that are great for small businesses. In the table below I have summarized the features of the online versions of Xero, QuickBooks and Sage all with American pricing (if you are not in the USA, please do a web search for these brands in your region for the actual pricing - or alternatively if you click on the links to each brand that we provide within the table you should come across the option to change to another region). I have also included information about the desktop versions of Sage and QuickBooks. Want to move on from using Excel to invoice your clients and track expenses, but don't want complicated accounting software to do it? Have a look at this business invoicing software. It's super easy for small business owners. Note : you can upgrade to any of these brands' more expensive plans as your business grows. You can download a free PDF version of the comparison table below to print out. Xero is leaving desktop behind, sticking with cloud accounting - the benefits are that it is always up-to-date, you are never stuck with an old version that must be upgraded costing time and money. Xero is a relative newbie on the scene being released in 2007 by New Zealand Rod Drury and growing at a phenomenal rate. It has taken the international accounting scene by storm with its innovative cloud software. Xero can be used in most countries. "Simplify the Business of Life"
In 1983, Intuit (founded by Scott Cook and Tom Proulx in America) released a program called Quicken for individuals to manage their personal finances, and in the late 90’s, early 2000’s they released QuickBooks for small to medium business accounting. They also came out with Turbo Tax for preparation and online filing of taxes. Quickbooks can be used anywhere in the world. "Powering the Driving Force of the Global Economy"
job management, product capabilities, industry solutions, HR management and so forth and are suited more to the mid to large sized businesses. Sage was previously known as Peachtree Accounting and first sold in 1978 by a software publisher founded by Ben Dyer, Ron Roberts, Steve Mann and John Hayes. Sage can be used world-wide. 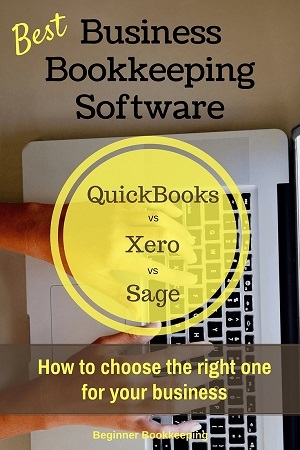 which business bookkeeping software should You choose? All this information is great, but you might still be sitting there thinking “yeah, how does this all help me to choose just one”!! Read on for more help deciding. What business bookkeeping software does your business require? Make a list of what your business needs out of a bookkeeping package. Below is a basic list to help you. Tick the ones that apply to you and then compare with each software brand to see which brand is a good fit and a price that your business can afford. Below are some suggestions of which software to consider. Do you need to issue sales invoices and track customer payments? Do you just want a simple income and expense tracking option without the first two mentioned above? Do you sell stock and want to track your inventory purchased, sold and stock on hand? Do you have employees that you need to run payroll for? 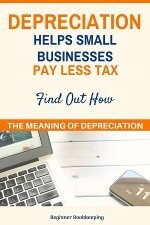 Is your business very tiny with very few banking transactions, or requirement of sales invoicing, or do you work on the side and need help with tax calculations? These are all very good, well established, award winning, international software options so you won’t be making a bad decision no matter which one you choose. You could sign up for the free 30 days trial on the two you like the most and use that time to explore them all, practice entering data on their demo/dummy companies if they have one, check out their help and support pages and videos, and generally see which one you get a good feel for. If you have an accountant, you could get their advice, but you need to know that if they are partnered with just one of these brands, they may only promote that one brand to you. Which is fine because it means they will (or should) know the software inside and out and may be able to provide you with a Partner price (meaning you could get that software cheaper than what you would get it yourself) and good support – but this will depend on the type of Accountant you have. If you don’t want to pay for bookkeeping software, go check out the free options available, the link is down below (I only recommend the best ones I can find) or if you want to work within Microsoft Excel to do all your bookkeeping, check out my Excel spreadsheets. why to choose paid Business bookkeeping software over free software? The only reason would be that you get a software that is specifically tailored to your country which is helpful when you have to for example track sales tax and want to use a software that produces a report that matches the one required by your local government for you to file with them. It's also good if you have payroll to process alongside your normal day to day bookkeeping and want the payroll data to be automatically updated within the accounts. These are genuine, free programs that any small business, sole trader, or student can use. If your business is simple and has a low number of business transactions then you could manage your bookkeeping in spreadsheet software, avoiding the need to purchase an actual bookkeeping programme. 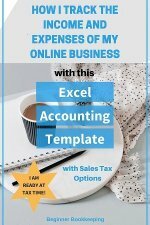 Click the thumbnail below to go to a downloadable excel cash book. Your bookkeeping system can be a simple cash book which is easy to set up in software like Excel or OpenOffice. If you own a computer then the chances are you already have Excel. If you do not have Excel you can download OpenOffice. It's free and is an excellent spreadsheet program! If you know anything about the double entry bookkeeping system and debits and credits then you may like to try a general ledger program. General ledger accounting software makes it obvious that you are using a double entry method because you have to enter the debits and credits yourself. It is an excellent way to learn the double entry system. Standard business bookkeeping software programs use the double entry system but because it operates as part of the 'background' calculations many bookkeepers and administrators do not know it's there or even what double entry bookkeeping is even though they use it every day! Our free software page details a general ledger program. Another term for this is 'cloud accounting' or 'cloud computing'. It simply means you log into an online bookkeeping program from your web browser and maintain the company records there. Most of the major business bookkeeping software providers such as Quickbooks, Xero, MYOB, FreshBooks - offer a cloud version of their software. There is no need to download bookkeeping software onto your hard drive. No need to worry about constant backups in case your hard drive crashes. No need to worry about having to update your record every time the developers send out a new release. Everything is kept online, backed up on the providers servers, automatically updated with improvements and if your computer crashes you know your information is safe, because it's online. You can access your records from any computer, making it easy to access when you are traveling. Check out more information about bookkeeping in the cloud.